The world is certainly different than any of us recognize or understand. We all try to go about our day to day life as best we can. We stand united with people who are similar minded, have proper morals and respect for each other, the animals and nature, for me this is the only way to keep moving forward. This past year was so difficult with many losing their homes and animals through floods, hurricanes and now in the last month in California we are faced with several devastating fires. It has taken a toll on all of us but we must stay strong and continue to help those in need! 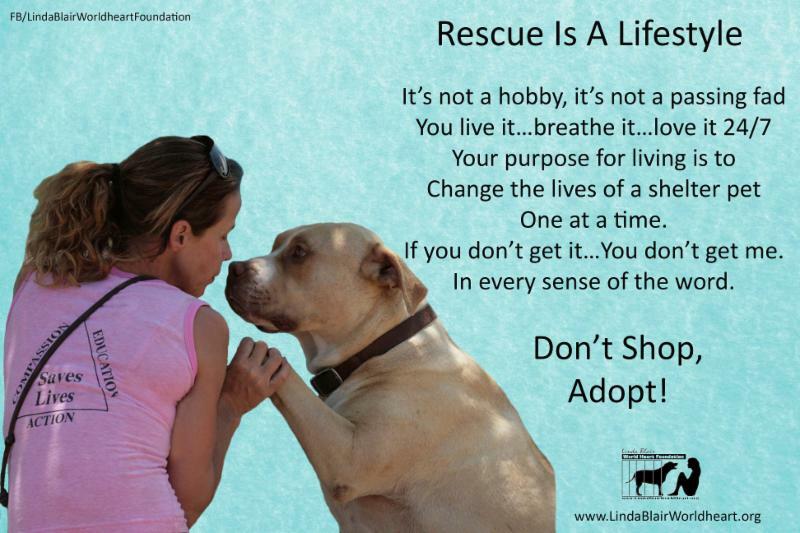 Our job is to rescue, educate & provide for the abandoned & abused. I work all year long caring for homeless animals-rescuing, finding loving forever homes, paying medical bills, working to heal their wounded hearts and minds. I continue educating myself on a daily basis, working and learning from experts on ways to keep our faithful friends healthy and happy. Our Cancer prevention program is WORKING and giving animals more time! We educate every day to remind people to cut out grains, potatoes, and feed clean food, to use cancer prevention herbs and more! There is still so much abuse and ignorance happening to the innocent animals. It is hard for me to get through each day. I just make myself keep fighting and moving forward. We save so many innocent lives through your donations! The laws must change and 2017 has shown that the pet overpopulation must be stopped. Spay and neuter must become mandatory against backyard breeders and innocent dogs that are being used in puppy mills by people trying to make a fast buck. It is imperative these laws regarding animals must be changed and every judge I have come across tells me the same thing. It has to be black and white, but we all know how difficult that is. Human and animal rights and laws... It's all politics. Such a shame. 2018 must finally bring changes that are so desperately needed. With that I will leave you with loving thoughts this Holiday Season. If you are traveling be safe, warmth if you are cold, and please look out for both people and animals in need of a helping hand. Don't be afraid to save an innocent animal in their time of need. Never turn a blind eye when you can make a difference! Peace to you through this holiday weekend. We are in desperate need of donations. With all the rescuing and tragic emergencies that happened these last few months we simply didn't have the finances for our normal holiday mailing. 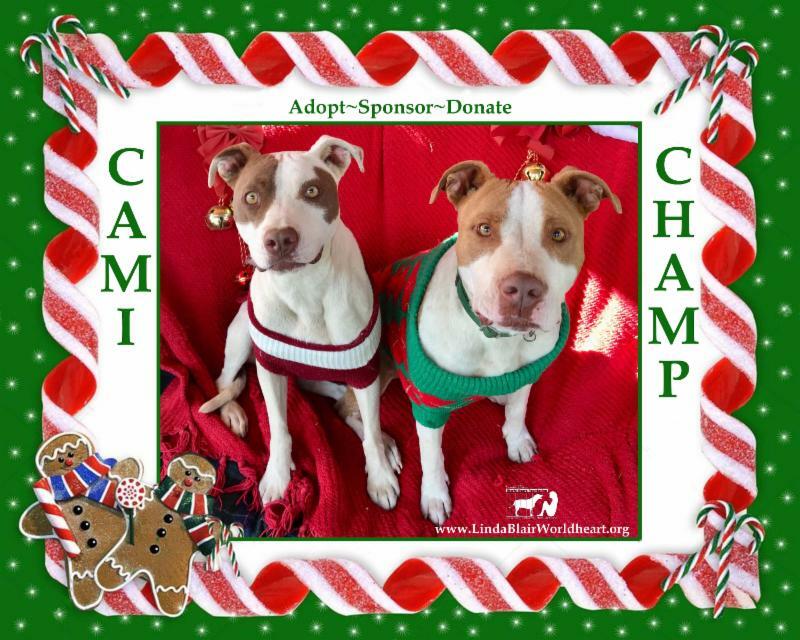 Please be generous and donate today for our Christmas wish for the animals in need! Below you will find our wish list and whether you can provide something on the small side or large side we anxiously wait to hear from you! 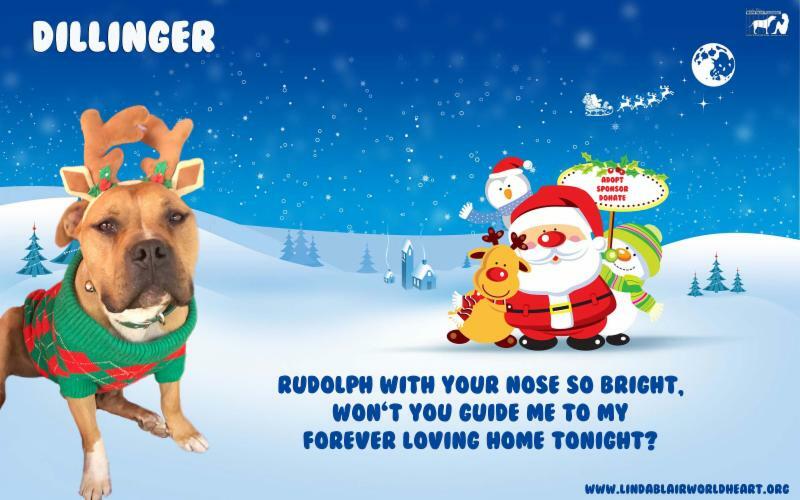 Spread a little Holiday Cheer to an LBWF Rescued Dog this year! Running a rescue is very expensive. We rely on your donations to help the animals that have been abandoned and so desperately need medical attention, love, warmth and endless playtime. 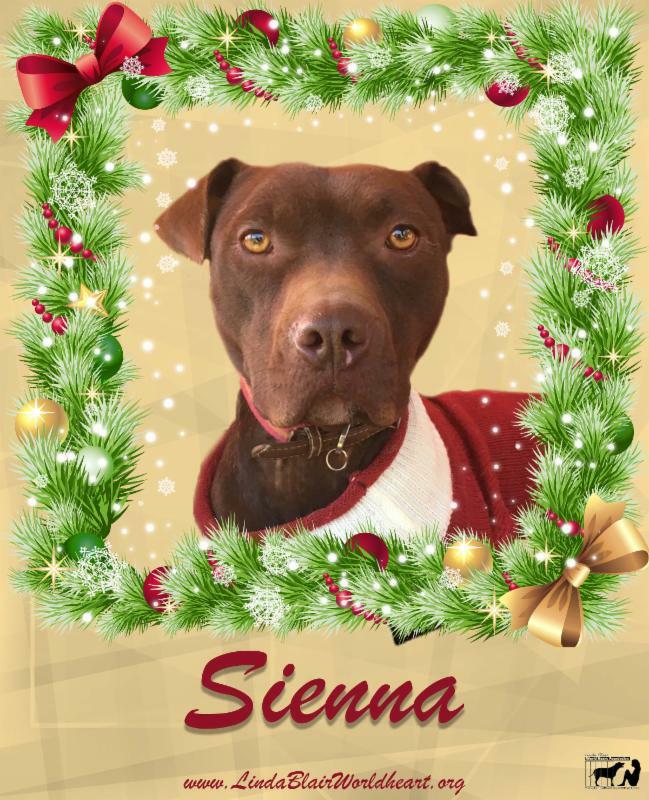 If you can find it in your heart to make any type of donation to make our Christmas special for the dogs we would be so grateful. Your donations will make a dog smile and squeak from ear to ear and forget that they don't have a home just yet. 4 new tires for the dog's transportation van. To replace the 12 year old Honda Odyssey dog mini van with an updated donated vehicle. Enough grain free dog food to last through years end at least. We purchase at Costco and the local feed store. More blankets towels for our now 20 to 30 degree temperatures at night. Paper towels & Cleaning products for cleaning. Lumber & Tarps to keep on hand for wicked rain and believe it or not, sleet and snow are sure to come any moment. Monetary Donations- We purchase a truck load of water every week as we live in the high desert and have well water. We have been in a drought. The high heat from the summer months left our electrical bills high and as we move into winter they will jump again as we have been using heaters for the winter. We would love solar panels to reduce our huge electrical bills! We also have an Amazon Wishlist where you can purchase an item and it will be shipped directly to LBWF. You can view our wishlist by clicking on the picture below. Please remember to use Amazon Smile and a percentage will be donated to LBWF. Meet Some Of Our Recent Emergency Rescues! 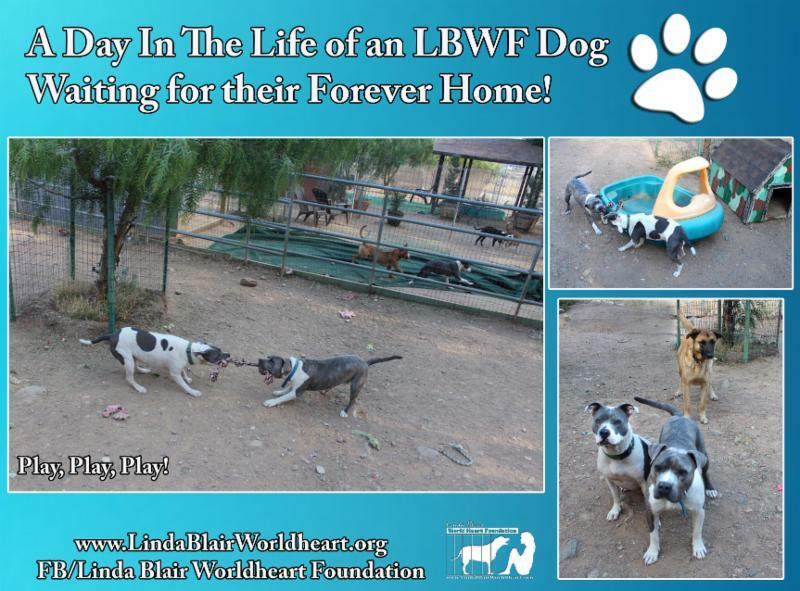 With the recent fires devastating California LBWF started by rescuing 14 dogs. Within the last day or so we have pulled another 5 dogs from the shelters. The shelters are in desperate need for space with all the fire victims. Many of the dogs are coming out of the shelters with kennel cough and colds and have been going to the veterinarian to get medication. 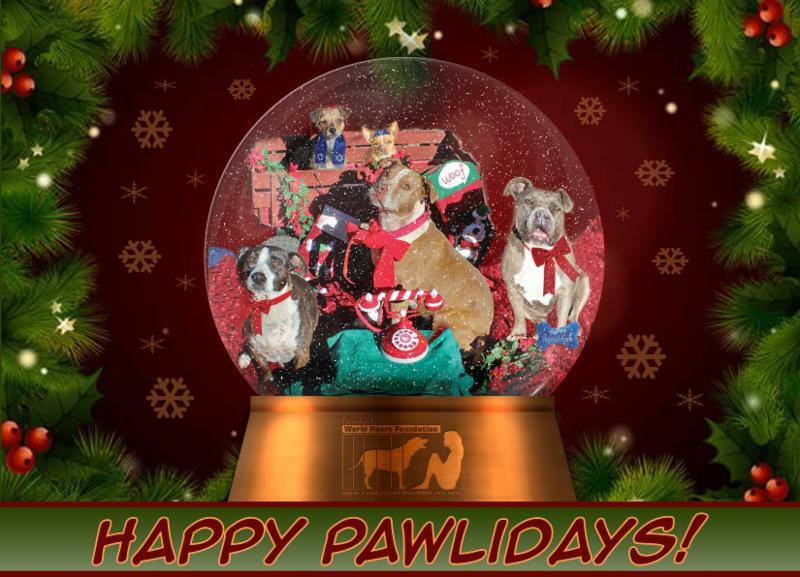 We thank you all for your support and we know it is the Holiday Season but please don't forget the abandoned pets this Holiday Season. 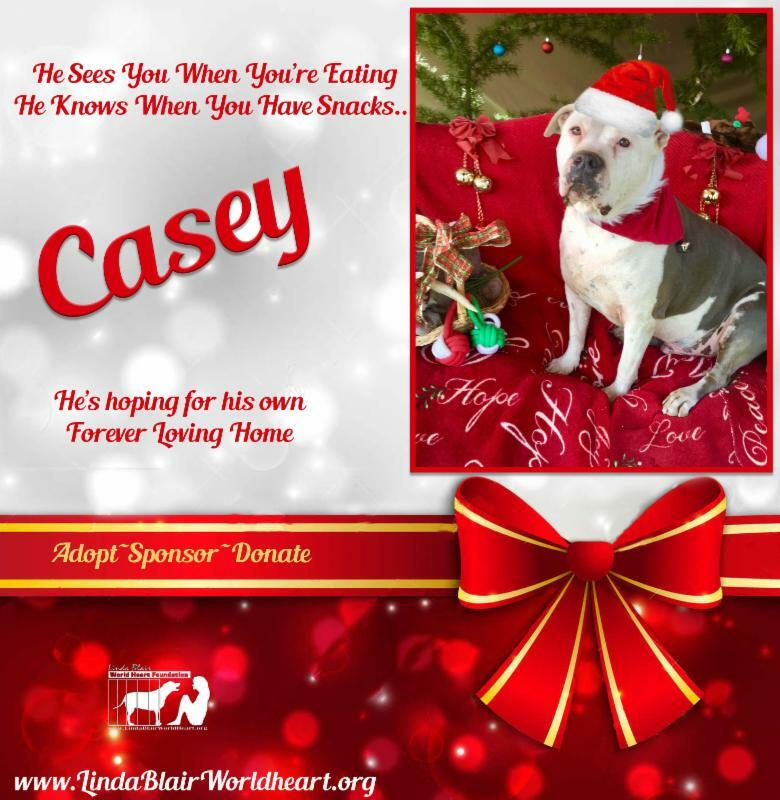 Your tax deductible donations help provide a meal, a toy and a warm bed! "Come here, Max and Sparkie-come fetch your new ball!" They reacted so quickly- why were they so rash? We "jump on the children," "don't come when they call,"
We "bark when they leave us," "climb over the wall." We'd have done what they asked us and worshipped them, too. With so many to care for, they can't stay to chat. We know they wonder how long we'll be here. Our friends filled with emptiness, worry and fear. And help us get something special to eat. 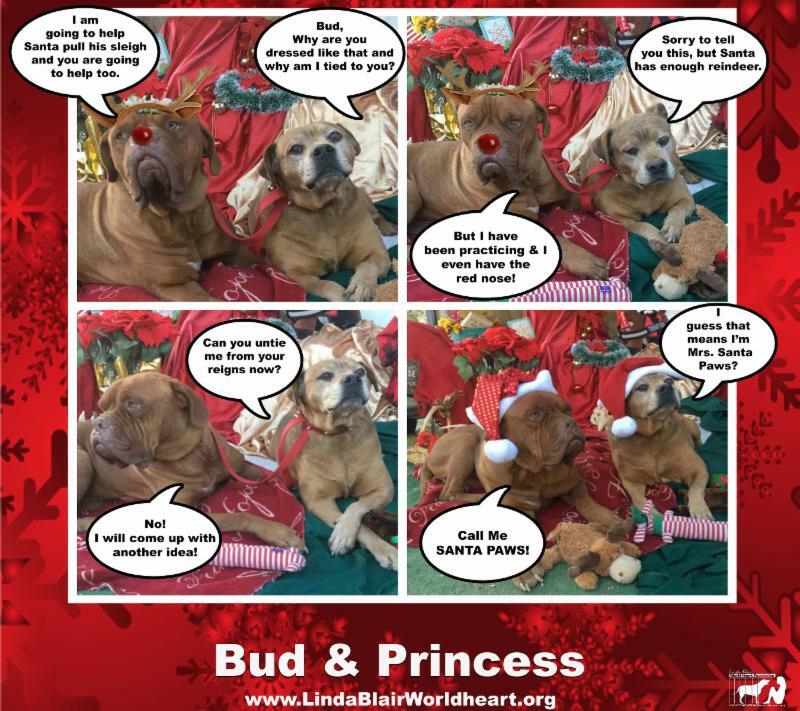 Happy Holidays From The LBWF Rescued Dogs! 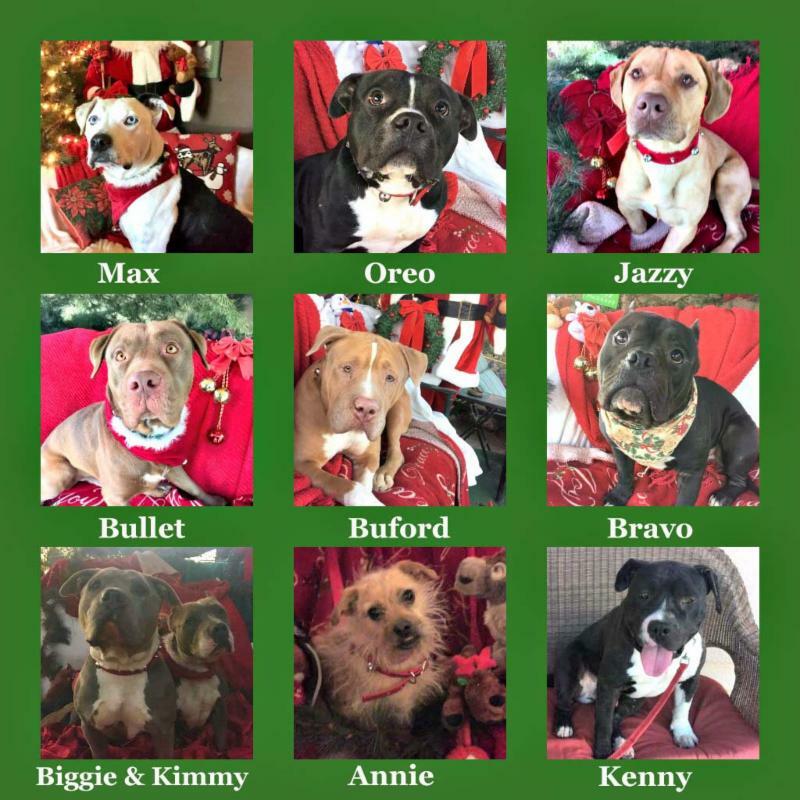 Below you will see a few of the smiling faces who are excited about the Holidays while they patiently await their forever loving home. (New York, NY) Animal Planet’s popular series PIT BULLS & PAROLEES features Tia Torres, a true believer in second chances. 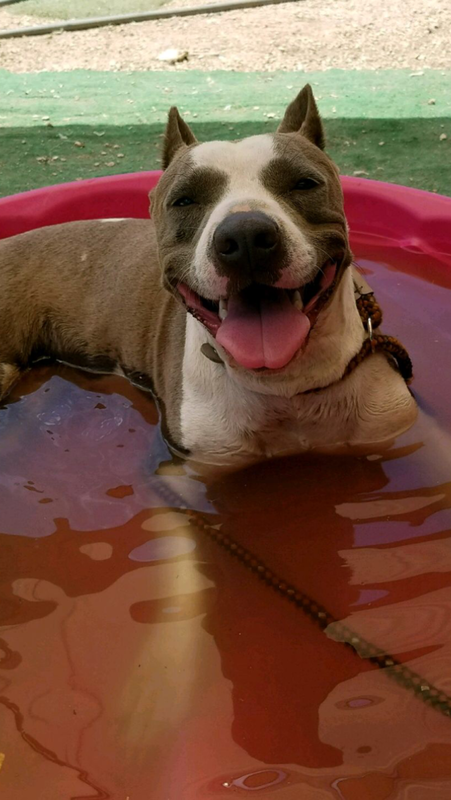 For more than 20 years, Tia has dedicated her life to New Orleans-based Villalobos Rescue Center, the largest pit bull rescue center in the U.S. She has also offered a fresh start to parolees and a new lease on life to dogs that were discarded and demonized because of the reputation of their breed. PIT BULLS & PAROLEES is back this summer for an all-new season with new stories, but the same heart we know and love, beginning Saturday, August 5 at 9PM ET/PT. 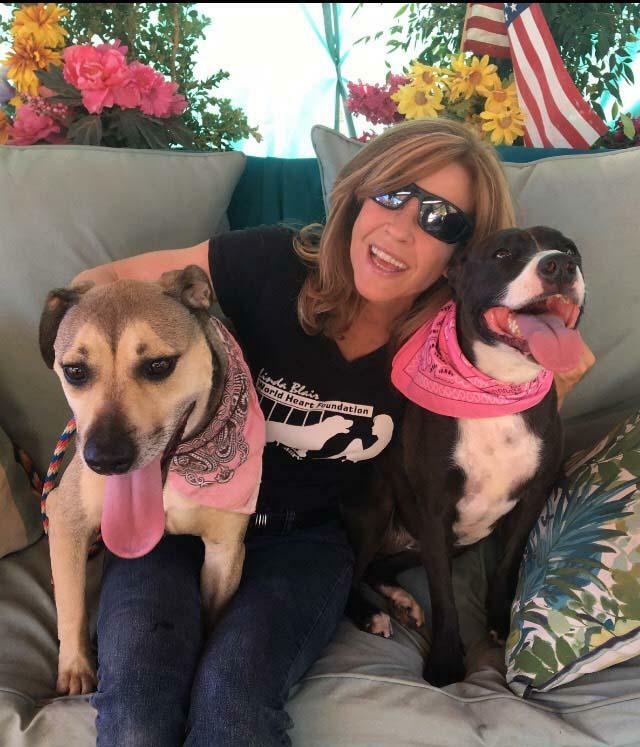 After a long recovery from a devastating leg injury, Tia gets back into in full swing and relies on her children, their significant others and the parolees to help keep the ever-expanding rescue center running. Tia fights a never-ending battle that’s grown to include dogs of every type and size, in desperate need of help. Many are unwanted pets dumped on the road, found wandering in the swamps, or thrown over the Villalobos gates. It’s the reality of running the nation’s largest pit bull sanctuary, where each new day brings happiness or heartbreak – and sometimes both. In addition to the summer season premiere, Animal Planet’s annual tradition of “You Watch, We Give” for PIT BULLS & PAROLEES will continue Saturday, August 26 at 9PM ET/PT to coincide with National Dog Day. “You Watch, We Give” takes place as part of Animal Planet's on-going commitment to make a positive impact in the animal world; the network will donate money to Villalobos Rescue Center with the total donation based upon the episode’s viewership. Animal Planet encourages viewers to tune in for “You Watch, We Give” to help drive its donations to Villalobos. 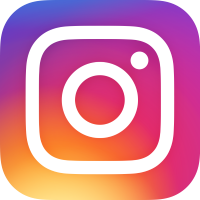 To support “You Watch, We Give” on Animal Planet’s social channels, fans are encouraged to share photos of their dogs with the #ShowUsYourPups hashtag across Twitter, Instagram or the Pit Bulls & Parolees Facebook page and it may appear on TV during the episode. In previous years, Animal Planet’s donations from “You Watch. 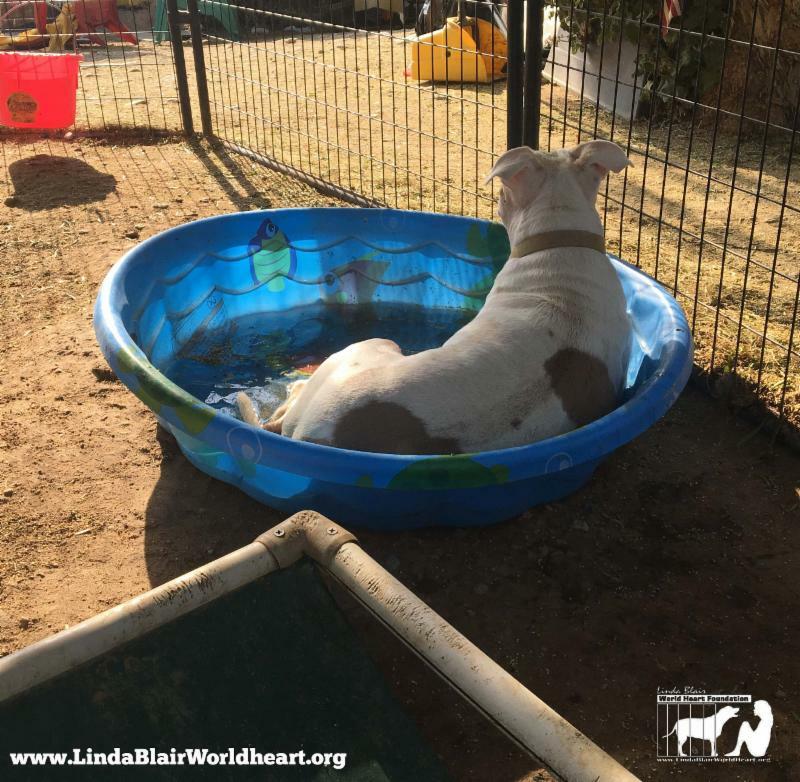 We Give" has helped cover Villalobos' expenses, including veterinary bills and food and shelter costs for the rescued pit bulls. To satiate fans desire for additional content, Animal Planet digital and social (AnimalPlanet.com, Pit Bulls & Parolees page on Facebook and Animal Planet on Facebook and Twitter via @AnimalPlanet) will be offering Tattoo Tales (WT), a series of all-new short form content where fans will get up close and personal with Tia and her family, along with the parolees, as they share the stories behind some of their most meaningful tattoos. PIT BULLS & PAROLEES is produced for Animal Planet by 44 Blue Productions and Rive Gauche Television. Rasha Drachkovitch and Billy Cooper are the executive producers for 44 Blue Productions. For Animal Planet, Lisa Lucas is executive producer and Patrick Keegan serves as supervising producer. 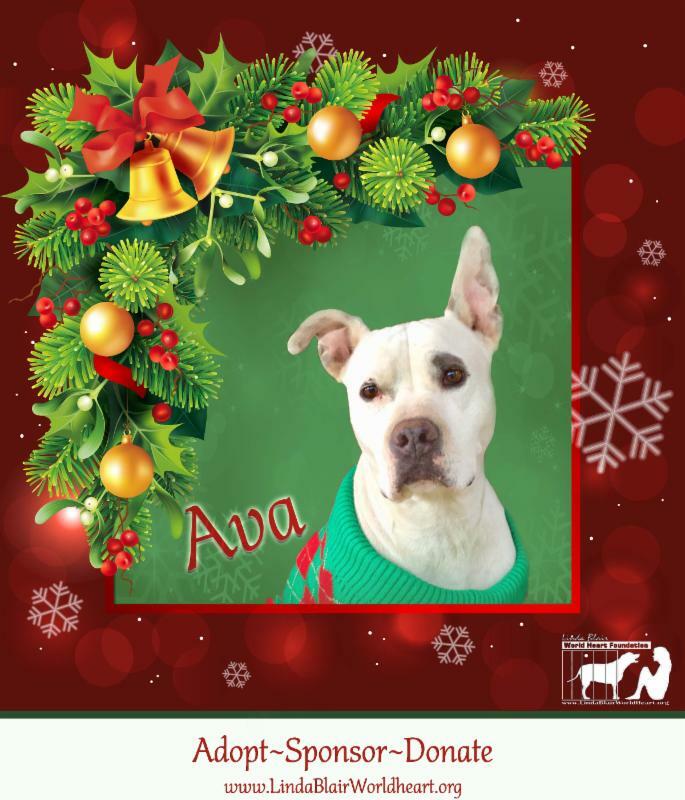 Amenia, N.Y. (June 10, 2015) – The non-profit organization, Animal Farm Foundation has created a public service announcement (PSA) starring actor and “pit bull” dog owner, Jon Bernthal, to disarm negative stereotypes about “pit bull” dog owners. In the PSA, Jon offers a real-life snapshot of the majority of “pit bull” dog owners, who are, in fact, everyday people with everyday dogs. 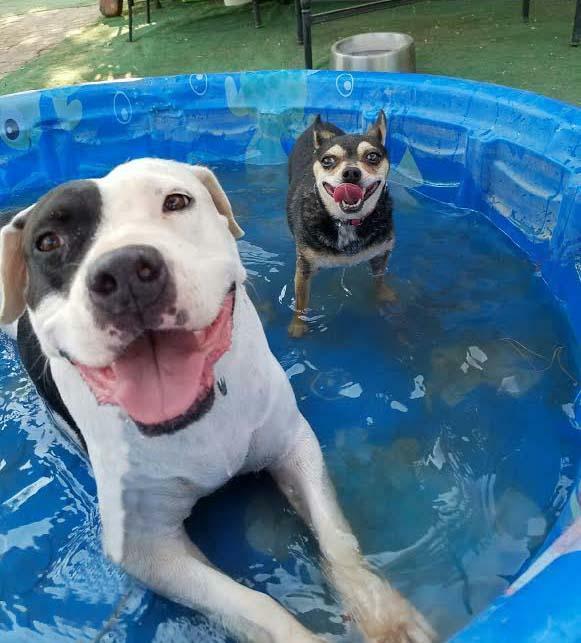 Despite stereotypes suggesting that “pit bull” dog owners are inherently reckless or irresponsible, the overwhelming majority love and care for their pets just like other dog owners do. The individuals featured in the TV spot include “pit bull” dog owner-families, neighbors, friends, public servants and valued members of the community. Together, they are not the exception; they are the majority. In the PSA, Jon asks “pit bull” dog owners to join The Majority Project just by taking their picture. The Majority Project is a photo collection, created by Animal Farm Foundation, to demonstrate that “pit bull” dog owners are no different than other dog owners. The photos show these dog owners holding signs identifying themselves as everyday people, valued members of society, “pit bull” dog owners and part of the majority. “Pit bull” dog owners nationwide are encouraged to join The Majority Project by sharing a photo with their dog at TheMajorityProject.com. The PSA is narrated by Jon Bernthal, the actor known for his roles on AMC’s “The Walking Dead” and major box office hits like “The Wolf of Wall Street.” Holding his “I am the MAJORITY” sign, Bernthal identifies himself as a father and a proud “pit bull” dog owner. Among those featured in the PSA alongside their “pit bull” dogs are: Eric, a cancer biologist and his dog, Red, of Cambridge, Mass. ; Nonny, a great grandmother and Ginger, of Washington D.C.; Father Humble, a priest and Aura, of Flowery Branch, Ga.; Rebecca, a teacher and Carmela, of Tucson, Ariz.; and many others. Breed specific legislation refers to laws pertaining to and restricting ownership of a particular breed or breeds of domesticated dogs. Though states and municipalities nationwide have begun to abolish such laws, breed specific legislation is still enforced in some communities, including those outlined in Animal Farm Foundation’s Breed Specific Legislation Map. 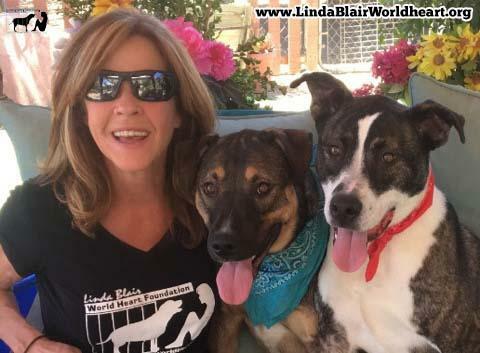 Research conducted by various experts has concluded that breed specific legislation is ineffective in reducing dog bites and enhancing public safety. The American Veterinary Medical Association’s exhaustive review of dog bite studies conducted in North America, and elsewhere, concluded that separate regulation of “pit bull” dogs is not a basis for dog bite prevention. Further, the “pit bull” type as a “breed” is particularly ambiguous, encompassing a range of pedigree breeds, informal types and physical appearances that cannot be reliably identified. Issues with breed identification make breed specific legislation difficult and costly to enforce, taking resources away from protecting the community from truly dangerous animals, which result from reckless dog owners, no matter the breed. Animal Farm Foundation is joined by many experts and organizations that oppose breed specific legislation, including the White House, the American Bar Association, The Humane Society of the United States (HSUS), the Association of Pet Dog Trainers, the American Kennel Club and others. 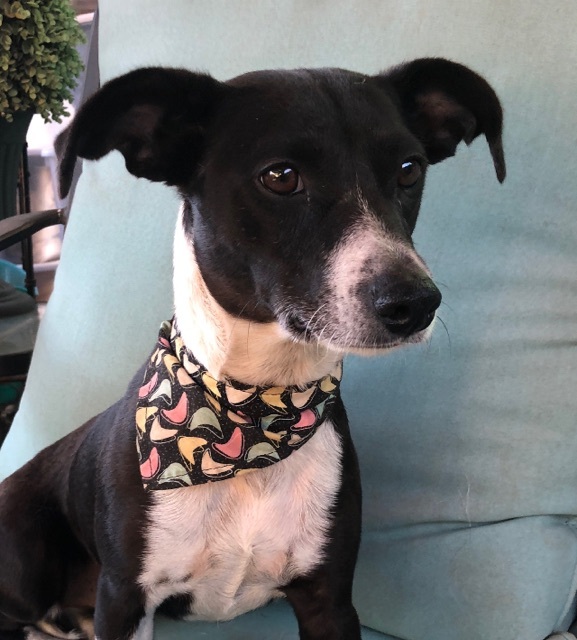 Animal Farm Foundation believes the most effective path to building safe, humane communities is through creating and enforcing non-discriminatory Responsible Pet Ownership laws. “Pit bull” dog owners can join The Majority Project by printing and personalizing an “I am the MAJORITY” sign and proudly displaying it in a photo with their dog. Photos can be submitted according to the instructions provided at TheMajorityProject.com and shared via social media using #TheMajorityProject. For more information about The Majority Project and to submit a photo, visit TheMajorityProject.com, “LIKE” The Majority Project on Facebook, and follow @MeetTheMajority on Twitter. Animal Farm Foundation is a not-for-profit corporation, which has been rescuing and re-homing animals, as well as making grants to other humane organizations, since the mid-1980s. It is Animal Farm Foundation’s mission to secure equal treatment and opportunity for "pit bull" dogs. For more information on Animal Farm Foundation, visit http://www.animalfarmfoundation.org. 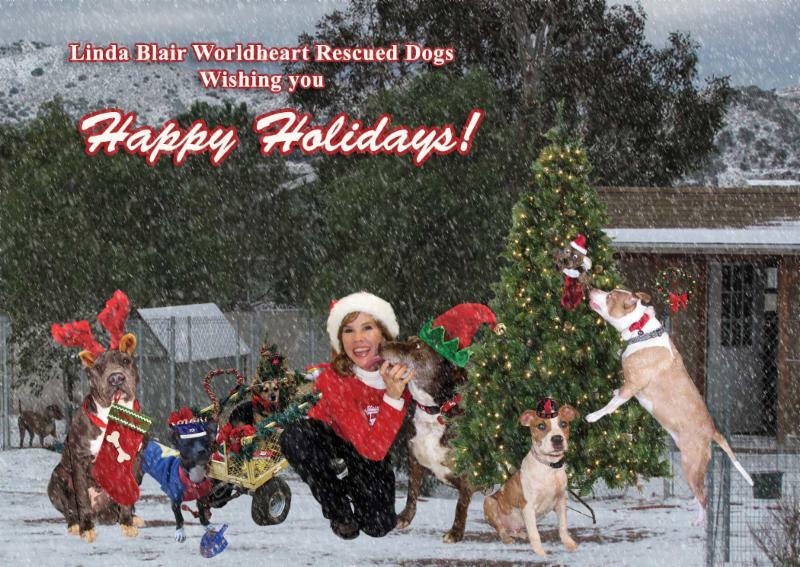 WHEN: A Special Holiday Episode of PIT BULLS & PAROLEES, premiering on November 30, at 10pm ET/PT. 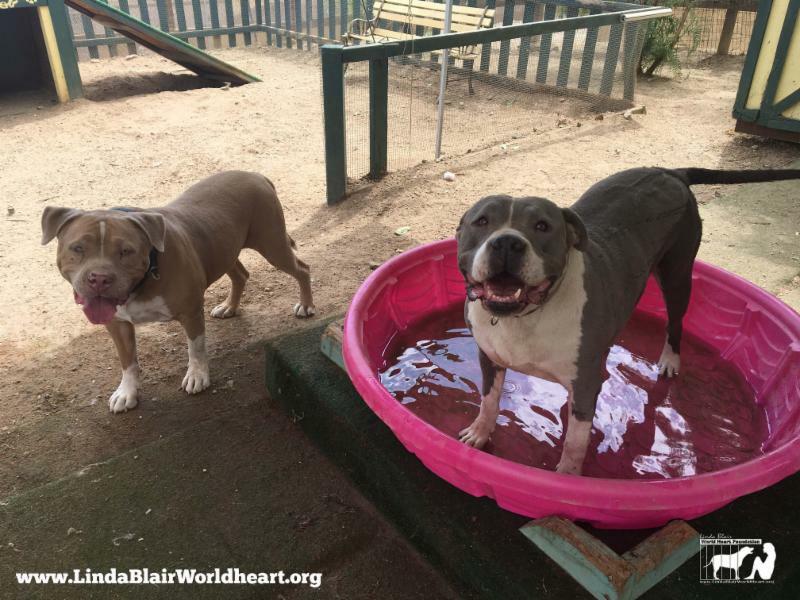 WHAT: As part of Animal Planet’s on-going commitment to make a positive impact in the animal world, the network is asking viewers to tune in to help drive donations to Villalobos Rescue Center, a 501c3 nonprofit organization featured in the series PIT BULLS & PAROLEES. “You Watch. We Give.” is part of the network’s non-profit initiative Reach Out. Act. Respond. (R.O.A.R). Based on the number of viewers who watch an all-new episode of Animal Planet's PIT BULLS & PAROLEES on Saturday, November 30, at 10 pm ET/PT, funds will be donated to Villalobos Rescue Center for the care and feeding of 200+ pit bulls living at VRC (up to $50,000). In the high-drama episode, “Giving Back,” Tia and her Villalobos family have settled in New Orleans, so she sends her family into the neighborhood to spread the word about VRC. Outreach proves worthwhile when two dogs are trapped under an unstable two-ton pile of wood, and local residents call in Villalobos. 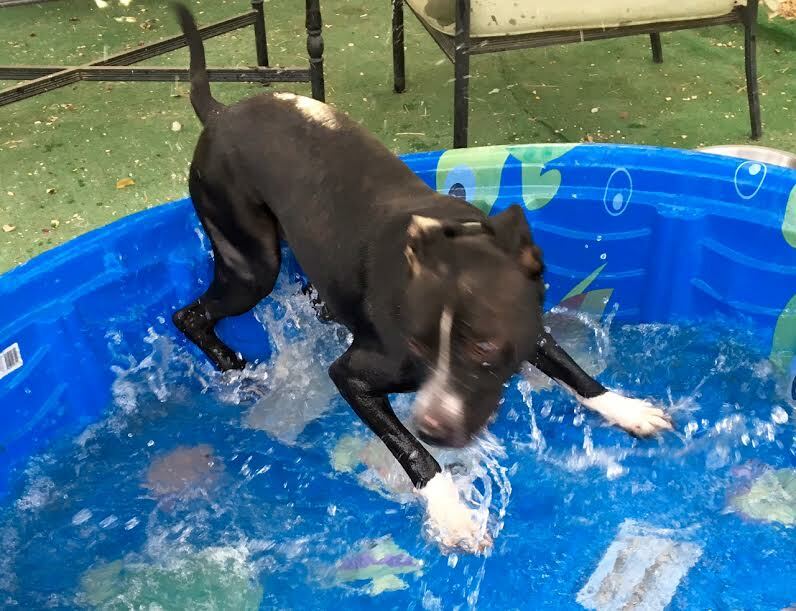 Tia doesn't hesitate to risk her life to save the terrified pit bills. Next, after losing their beloved pit bull, a couple adopts a new dog. The episode ends with the New Orleans’ arena football team recruiting VRC pit bull Rhino and Tia’s twin sons to be on-field mascots. WHY: This is the fourth year of the “You Watch. We Give." campaign, and past initiatives have gone a long way to pay for Villalobos' vet bills, food and shelter for the dogs and have helped to keep the rescue running. Last year’s initiative yielded a donation of $50,000 and garnered 1.3 million unique P2+ viewers for the episode. 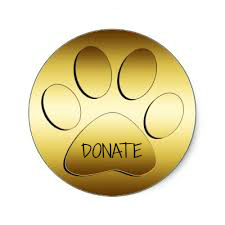 That donation was used to help pay for the disaster relief recovery and care for the more than 200 dogs at Villalobos Rescue Center that were affected by Hurricane Isaac. R.O.A.R. is Animal Planet’s national campaign that leads the way in taking action and being a voice for animals. To learn more about Villalobos and all of the R.O.A.R partners please visit: www.animalplanet.com/roar. 34 Texas dog bite fatalities were recorded during this period; more than any other state. Pit bulls were responsible for 76% of the total recorded deaths. 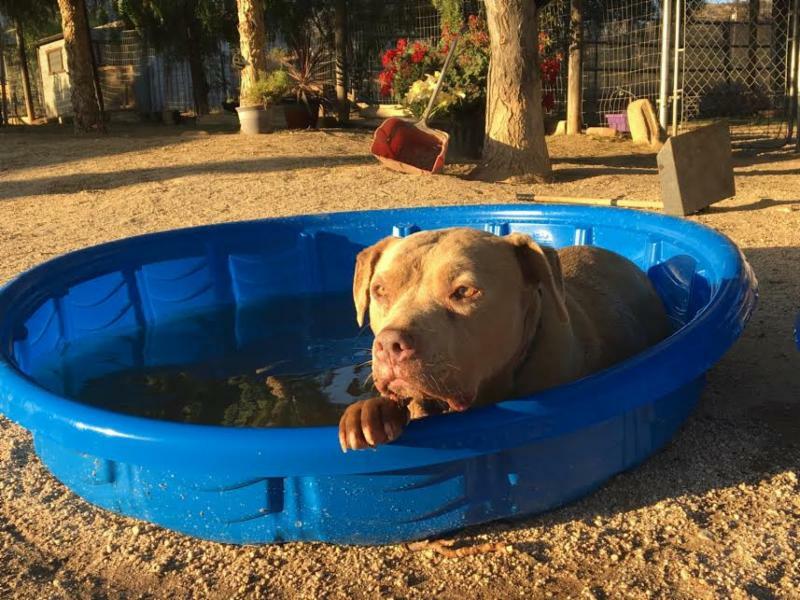 Impediments to reduce these deaths include the One Bite rule and the 1991 statewide measure that prohibits breed-specific laws. Austin, TX, March 20, 2013 --(PR.com)-- DogsBite.org, a national dog bite victims' group dedicated to reducing serious dog attacks, releases a report of Texas dog bite fatalities from January 1, 2005 to February 17, 2013. During this period, 34 Texans suffered death due to a dog mauling, making Texas the leading state in the nation for dog bite-related fatalities. Pit bulls inflicted 76% (26) of these deaths, followed by the next most lethal dog breed, rottweilers, inflicting 15% (5). DogsBite.org began reviewing Texas dog bite fatality data after a second Texas toddler was killed by a chained pit bull in under a 1-month period this year. Last year in the U.S., chained dogs killed two individuals. In the first 47 days of 2013, Texas matched this national statistic. Of the 6 total chaining deaths in Texas, pit bulls and rottweilers accounted for 100%. Each chaining fatality involved a child 4-years old or younger and occurred in a rural or semi-rural area of Texas. Victim data from the Texas report showed that 68% (23) of the victims were children ages 11-years and younger. Of this group, 52% (12) were ages 2 and younger. Dog ownership data from the Texas report showed that family dogs comprised 53% (18) of all attacks that ended in human death and 88% (30) of the attacks occurred on the dog owner's property. The combined years of 2006 and 2007 accounted for 38% (13) of all Texas dog bite fatalities during the period. Texas counties with the most fatal dog attack occurrences include: Harris County (5) followed by Bexar County (4) and Montgomery County (3). 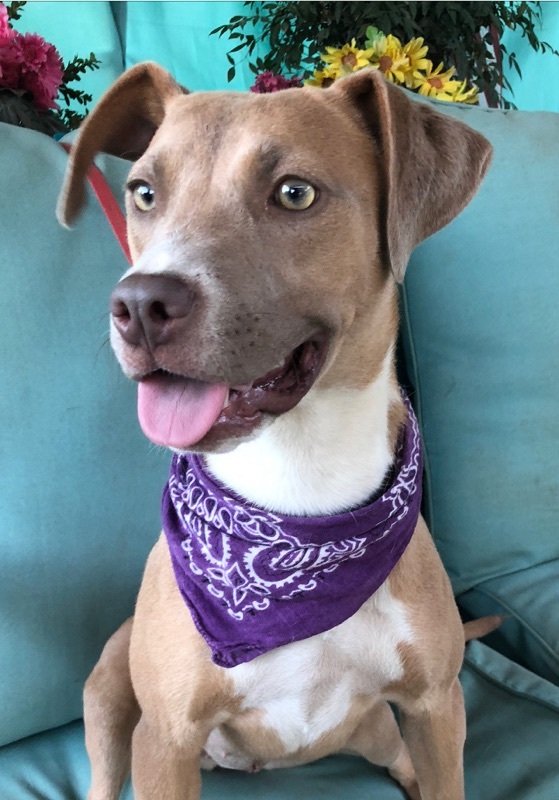 The Texas report also highlights the need to reform Texas laws and the two main impediments to achieving this reform: The One Bite rule, which omits civil liability for the dog's first bite (or first mauling, maiming or death) and the 1991 statewide anti-BSL measure, which prohibits breed-specific laws. The Texas report emphasizes the 1988 and 2011 medical injury studies from Texas doctors; both medical studies explicitly focus on injuries and deaths inflicted by pit bulls. 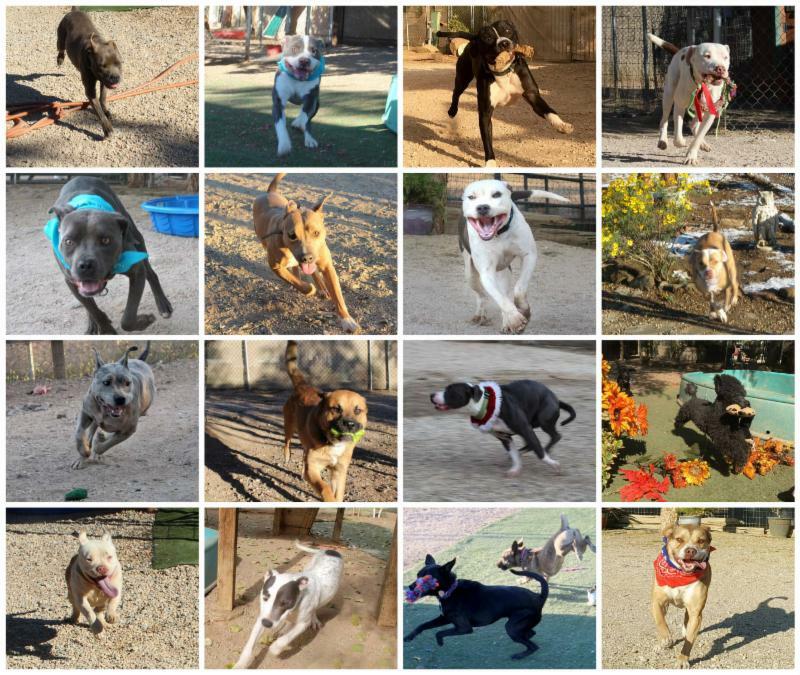 The report names several progressive Texas cities -- Fort Worth, Garland and San Antonio -- that have implemented proactive animal control policies despite state imposed limitations that deny municipalities from directly targeting the two most lethal dog breeds in Texas. The report briefly outlines each policy and offers links to related FAQs and municipal code. All three policies share two key provisions: preventing new attacks and holding dog owners more responsible. NEW YORK—Humane Law Enforcement (HLE) agents of the ASPCA® (The American Society for the Prevention of Cruelty to Animals®) arrested Bronx resident Gillian Irving on Friday, April 20 for allegedly neglecting and starving her two seven-month-old pit bulls, named Cagney and Lacey. On February 17, 2012, HLE agents responded to a complaint of two skinny and neglected canines inside an apartment on Webster Avenue in the Norwood section of the Bronx. Agents encountered the dogs and both appeared to be neglected. Ms. Irving relinquished Cagney and Lacey to the agents, and they were transported to the ASPCA’s Bergh Memorial Animal Hospital for treatment. ASPCA veterinarians determined that Cagney and Lacey had been starved—they weighed 16.4 and 15.2 pounds, respectively, upon intake. After receiving treatment by ASPCA staff, Cagney now weighs 27.1 pounds and Lacey weighs 26.9 pounds—a 65 and 77 percent increase, respectively. 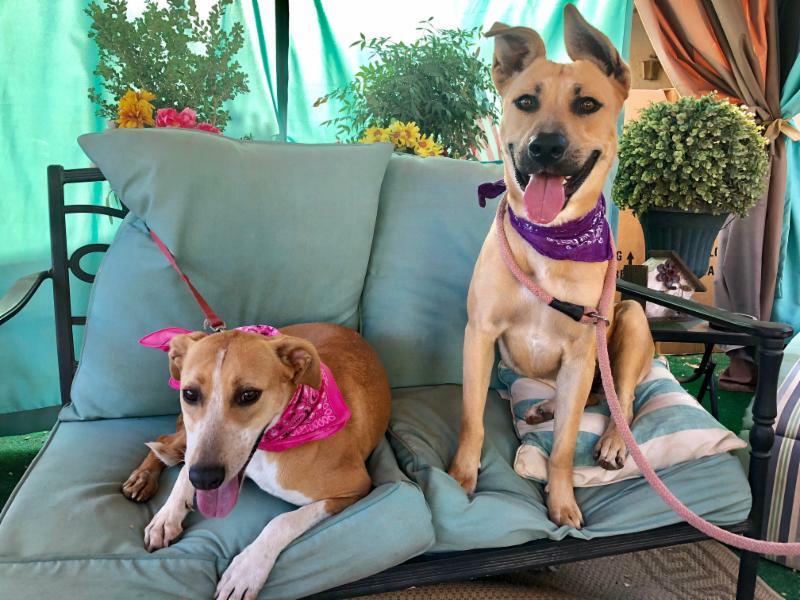 Both dogs are recovering at the hospital and will eventually be made available for adoption. Irving, 27, was arrested by ASPCA Special Agent Ann Kelly. She was charged with two counts of misdemeanor animal cruelty. If convicted, she faces up to two years in jail and/or a $2,000 fine. Irving is due in Bronx Criminal Court on August 22. Founded in 1866, the ASPCA® (The American Society for the Prevention of Cruelty to Animals®) is the first humane organization established in the Americas and serves as the nation’s leading voice for animal welfare. One million supporters strong, the ASPCA’s mission is to provide effective means for the prevention of cruelty to animals throughout the United States. As a 501(c)(3) not-for-profit corporation, the ASPCA is a national leader in the areas of anti-cruelty, community outreach and animal health services. The ASPCA, which is headquartered in New York City, offers a wide range of programs, including a mobile clinic outreach initiative, its own humane law enforcement team, and a groundbreaking veterinary forensics team and mobile animal CSI unit. For more information, please visit www.aspca.org.